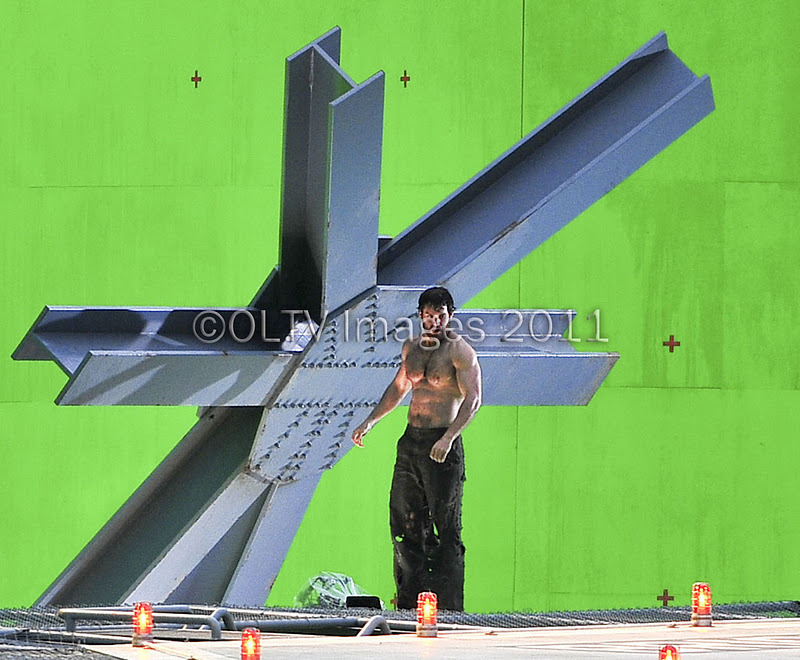 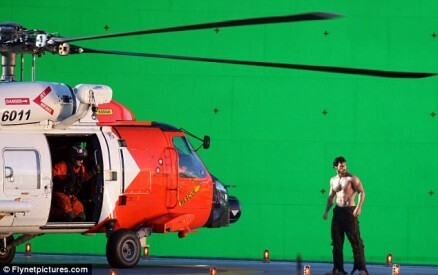 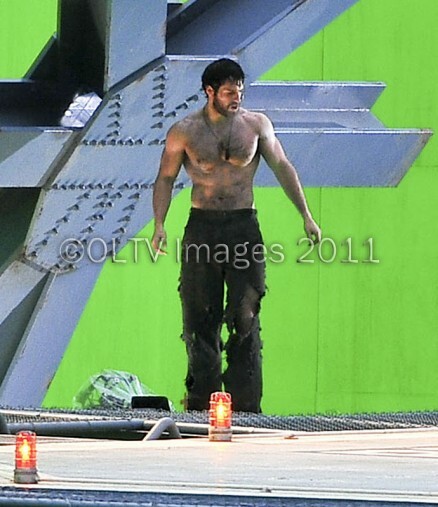 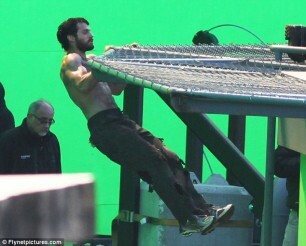 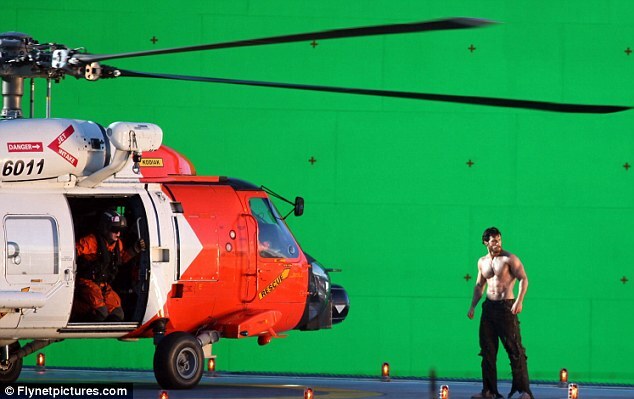 New TWILIGHT MAN OF STEEL star, Henry Cavill was caught on set shooting scenes against a green screen with a helicopter. 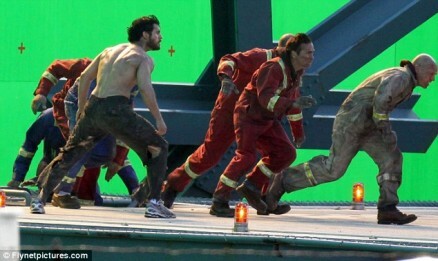 Given the torn pants and missing shirt, it’s safe to assume these photos depict one of the early scenes (maybe the first?) of Clark using his super powers for the first time in public.